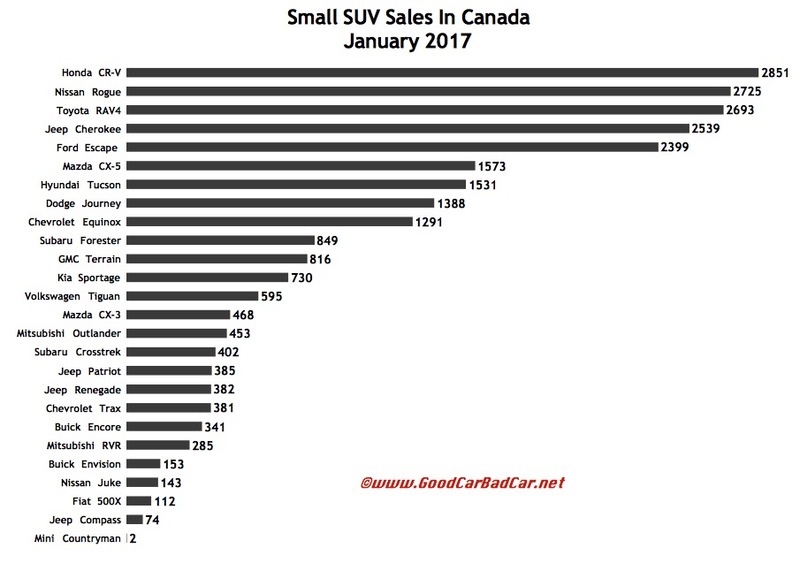 While Canadian sales of the most affordable subcompact crossovers saw their growth curtailed in January 2017, the increasingly high-volume compact SUV/crossover exploded with 20% growth in the first month of the year. Led by the new, fifth-gen, 2017 Honda CR-V that jumped 40% to 2851 units, the category’s additional 3900 sales occurred with growth from nearly every nameplate in the category. The Chevrolet Equinox, Dodge Journey, GMC Terrain, Hyundai Tucson, discontinued Jeep Patriot, Kia Sportage, Mazda CX-5, Mitsubishi Outlander, and Nissan Rogue didn’t just improve upon their January 2016 performances: they all reported double-digit percentage growth. Only the Jeep Compass and Volkswagen Tiguan, both of which are switching into second-gen form in the coming months and are expected to slow down, posted declining January sales. 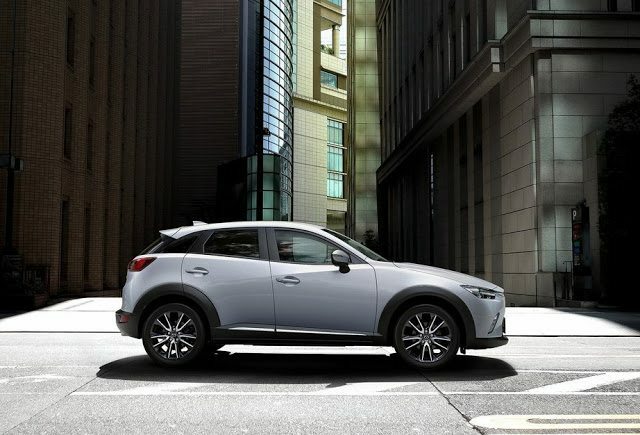 Among subcompact crossovers, the Mazda CX-3, Mini Countryman, Mitsubishi RVR, Nissan Juke, and Subaru Crosstrek – a handful of which are likewise about to switch into next-gen form – all posted double-digit percentage losses.